Over the past few years, the airline industry has segmented and broken apart its ticket and fee policies, so that now travelers are paying for everything from pretzels to checked bags. It hasn't gotten that bad when it comes to train travel, as business travelers heading out on a train trip have a range of different fare options when traveling on Amtrak. Amtrak provides five different levels of fares for its trains, and each has different rules, restrictions, and refund policies. Amtrak's five fare levels are Saver, Value, Flexible, Business, and Premium. Bear in mind that within these fare categories, prices vary depending on the class of seat. Amtrak's Saver level fare is its cheapest. Saver fares are advance purchase tickets, web-only fares, flash sales, or other discounted fares for reserved coach or Acela Express business class seats. The supply is generally limited. 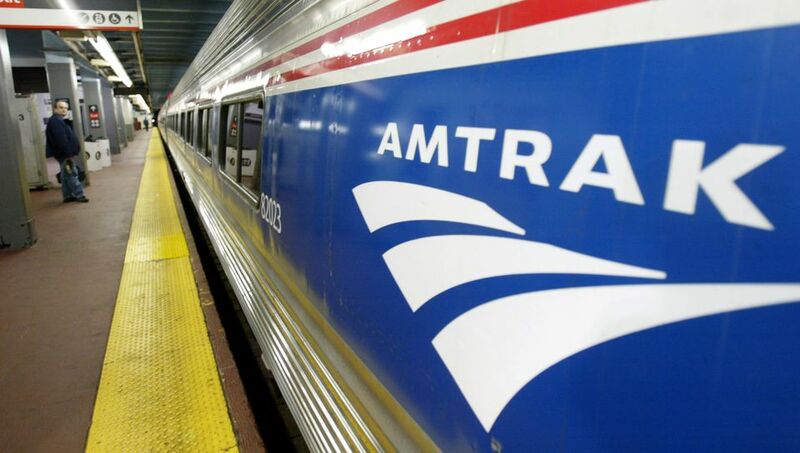 Unlike Amtrak's other fares, Saver fares are non-refundable 24 hours or more after you book the reservation, so you if you opt for Saver you should be sure you are going to take the trip. However, Saver fares can be canceled before the train departs and a credit will be issued for future travel via Amtrak's eVoucher system. Saver fares are only available on some trains and some routes. Amtrak's Value fares are a step up from Saver fares. They're more flexible and are fully refundable. Value fares can be refunded for a full refund up to eight days before departure. If you cancel less than eight days before departure and you're within 24 hours before departure, they are still refundable, but with a 25 percent cancelation fee. Passengers can also have the refund issued as an eVoucher credit for use on future Amtrak travel. Value fares are available on all Amtrak routes for unreserved coach, reserved coach, and Acela Express business class. If a Value fare is not canceled before a trip, the entire amount is lost. Use it, cancel it, or lose it. Amtrak's Flexible fares are fully refundable anytime before a trip, with no refund fee or penalty. You can even get a refund after a scheduled departure. Refunds can be issued back to credit cards or held as a credit on an e-voucher system. Flexible fares are available on many routes for unreserved coach, reserved coach, and Acela Express business class seats. If you want a bit more comfort on your trip, book a business class ticket. (This is non-Acela business class.) The perks you'll get vary by train, but common ones are more legroom and complimentary non-alcoholic drinks. Business class gets its own car or section of the train. You can cancel your ticket for a full refund without incurring any fees as long as you cancel before departure, but you will forfeit the refund if you wait until after departure to cancel. Premium fares are offered for sleeper accommodations on long routes and Acela Express first class. If you buy an Acela Express first class ticket you'll get complimentary dining onboard and access to ClubAcela lounges, along with all the perks of business class. You can get a full refund on an Acela first class ticket if you cancel before departure; there's no refund after departure. Tickets for sleeper accommodations can be canceled 15 or more days before departure for a full refund minus a 25 percent fee. You will get no refund if you cancel less than 15 days before departure. If you don't cancel before departure, you will forfeit any refund. Unless you're really into saving money, most business travelers should consider opting for either finding a seat in the Quiet Car or upgrading to a business class or first class seat. The basic level of service on the Acela trains is considered business class on Amtrak’s regular trains. Business class seating is reserved, which means you’re guaranteed a seat. Compared to regular Amtrak seats, business class seats are wider, with extra legroom. They recline and have fold-down tray tables. Overhead storage is provided in business class and above, along with reading lights and power outlets. First class seats have all the amenities of business class seats, but they're in a separate, reserved car. Most Amtrak trains have Wi-Fi coverage, although it can be spotty and not particularly good. It's usually good enough to download or check email or do some quick surfing. But don't plan to watch streaming movies or even streaming music, unless you're willing to put up with relatively frequent drop outs. Bereavement fares are now rare, but some still have policies for them.